Many factors come together to make Tucker the perfect location for the type of comfortable living you need and desire. 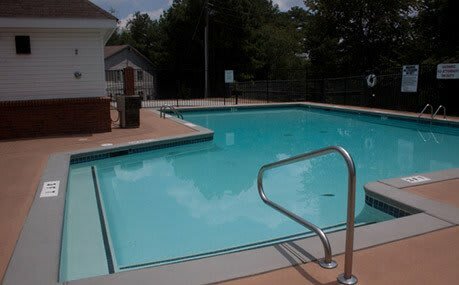 Gwinnett Station Apartments is conveniently located near parks, schools, restaurants, grocery stores, shopping malls and health care, placing it in an unbeatable location. Easy access to I-85, I-285 and Highway 29 places all of Georgia and the cosmopolitan city of Atlanta at your front door; however, you’ll never need to leave the comforts of Tucker to obtain the comforts and conveniences of daily life. Down the street from Gwinnett Station you’ll find Mexi Supermarket & Dollar Store, as well as Norcross Food Mart, El Jalisco Market, Norcross Oriental Market and Nam Dae Mun Farmers Market. For larger shopping trips, we’re convenient to Walmart and Kroger. You want to ensure the health and safety of yourself and your loved ones, which makes Gwinnett Station Apartments the ideal community. Gwinnett Station boasts a central location to the health and medical care options important to your well being, including Medico Familiar, Clinica Alianza Latina, Emory St. Joseph’s Hospital and Kaiser Permanente Gwinnett Comprehensive Medical Center. When you live at Gwinnett Station, you can rest easy knowing the services you need are easily accessible.